What is the kayak tour? Our tours launch at Turtle Beach Public Boat Ramp, 8701 Blind Pass Rd, Sarasota, FL 34242, and we paddle out Blind Pass Lagoon to the Jim Neville Marine Preserve, a mangrove island. This is a leisurely paddle around the island with a stop at the secluded Midnight Pass Beach. We spend a little time on the beach to swim, search for shells and enjoy the view. We return to the boat launch. The tour is about two and a half hours long. The ecology, history and wildlife are discussed during the tour. Our kayak guides are certified by the American Canoe Association. Is there a minimum age requirement to go on the kayak tours? We don’t have a minimum age requirement, but all participants must be able to 1. breathe independently and hold breath underwater, 2. manage personal care independently or with assistance of a companion on the tour, 3. manage personal mobility independently or with a reasonable amount of assistance of a companion on the tour, 4. follow instructions and effectively communicate independently or with assistance of a companion on the tour, and 5. get in/out or on/off of a paddle craft independently or with a reasonable amount of assistance of a companion on the tour. Can we transport the kayaks ourselves? No, we deliver kayaks or you can pick them up at Crescent Beach on Siesta Key or at Turtle Beach Public Boat Ramp, 8701 Blind Pass Rd, Siesta Key, FL 34242.
Who can rent a paddleboard or kayak? Anyone over 18 with a credit card can rent this equipment as long as they sign the waiver. A parent or guardian must rent the equipment and sign the waiver for paddlers under 18. Where can we go paddleboarding and kayaking? You have options. We can deliver the equipment to you or you can get the equipment at one of our staging locations to go out on the Gulf Of Mexico or the Little Sarasota Bay. Please book your paddling adventure in advance. What should I bring for kayaking? Plenty of water or drinks, water shoes (you have to walk in the water to get into the kayaks), a towel, sunscreen, bathing suit or anything else you’d like such as lunch, camera, hat, etc. Is there a place to leave my personal gear while paddling? We do not have a place to keep your things on land while you paddle, however, we have dry bags available to take with you on your trip. We don’t guarantee that these will be completely watertight. Use them at your own risk. What do I have to do before I go out kayaking? Book a reservation. You must give us your credit card number and sign a waiver. All participants must sign the waiver and a parent or guardian must sign on behalf of minors. How many people have to be on the tour? There is a minimum of four participants for our staff to guide a kayak tour. If your party is less than four you have the option of paying for four spots on the tour and going out with a smaller group. Directions to the Turtle Beach Public Boat Launch. The address for Turtle Beach Public Boat Ramp is 8701 Blind Pass Rd, Siesta Key, FL 34242. From our shop at 6551 Midnight Pass Rd, Siesta Key, FL 34212, turn left (south) onto Midnight Pass Road. Travel about two miles and then turn right onto Turtle Beach Road, which is also the entrance for Turtle Beach County Park. At the stop sign turn left onto Blind Pass Road. Park in the parking lot on the right and the launch site will be across from the parking lot. Can more than one person be on a paddleboard at a time? If there is an adult with a young child that would be acceptable. We do not recommend having two adults on a paddleboard at the same time. Do we set up chairs and umbrellas? No, we just rent the items. Can a beach wheelchair fit into my car? Beach wheelchairs cannot fit into most cars. You would need a van or a truck with over 3 feet of clearance to be able to transport them yourself. We deliver free on Siesta Key. We charge a delivery fee for all other locations. See the delivery fee FAQ for delivery pricing. Can the bikes go on the beach? 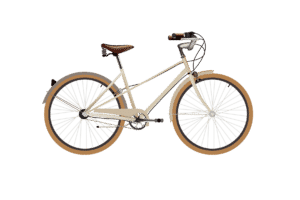 We have beach cruisers and these can go to the beach, but the geared bikes cannot. The cleaning fee for taking geared bikes on the beach is $50 per bike. Are helmets included in the rental price? Yes, so are locks if needed. 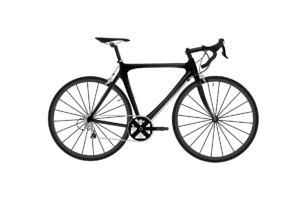 What size road bike should I get? The size depends on your height. What size bike should my child ride? Look at the wheels of the bike they ride at home. There will be the size of the tires on the side. Typical sizes are 18”, 20” and 24”. Is there a weight limit for the children’s seats on bikes? The weight limit for a child’s seat is 40 pounds. The child must be able to hold their head up with a bike helmet on it. Can I clip in on a road bike? You have to bring your own pedals to be able to clip in on our road bikes. You can also bring your own saddle. If you do not bring your own pedals, you will get the pedals we have already on the bike. Some have cages, some do not. How can I ride to the Legacy Trail? The closest trailhead is at Culver House Nature Park, 7301 McIntosh Rd, Sarasota, FL 34238, which is about 5 miles away. From our shop at 6551 Midnight Pass Rd, Siesta Key, FL 34242, turn right onto Midnight Pass Road. At the stop light make a right onto Stickney Point Road. At Avenue A take a right. Then take a left to cut through the 5/3 bank parking lot, which will bring you to a traffic light to cross Tamiami Trail to proceed straight on Gulf Gate Road. At the Gulf Gate public library take a right onto Curtiss Ave. Turn left to go through the Beneva Square parking lot, which will bring you to a traffic light to cross S. Beneva Road and proceed straight on Palmer Ranch Road. At the traffic light turn right on McIntosh Rd. Culverhouse Nature Park and the Legacy Trailhead will be on the left. Can you explain the different frame types? 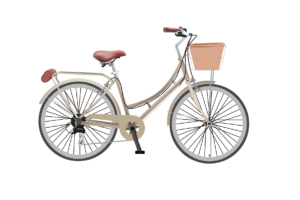 We have three frame types: Step-through, Step-over, and Mixte. A mixte frame has a crossbar that attaches closer to the middle of the seat tube. Our mixtes are smaller bikes good for shorter riders. What are the requirements to rent a scooter or scooter car? The driver must be at least 18 with a valid driver’s license. We will need a major credit card (not a debit card) to keep on file to cover any damage. If you want to rent a scooter you must have experience with scooters or motorcycles. How many people can ride in a scooter car? Two people, if the total weight of those in the scooter car is below 400 pounds. Can anyone drive the scooters? No, you must be over 18, have a valid (full privilege) driver’s license and have legitimate experience on a 2 wheeled motorized vehicle. Where can we take the scooter cars? The scooter cars must stay on Siesta Key. This means they may not be driven over drawbridges. The fee for taking a scooter car off of Siesta Key is $500. Scooter cars must stay on paved roads. Do scooters and scooter cars have to obey the same laws as cars? Yes, all the rules of the road apply to scooters and scooter cars. It is possible to get tickets while driving them. Are there any safety precautions that need to be taken in the scooter cars? Yes, the driver must wear eye protection of some kind. Helmets are available free of charge. If there are children under the age of 16 riding in the scooter car they must wear a helmet. Is there a weight limit on the scooter cars and scooters? The weight limit for a scooter car is 400 pounds. The weight limit for a scooter is 350 pounds. Keep in mind that the performance of the equipment goes down as the load goes up. How much is the delivery/ pick up fee? If you are on Siesta Key there is no charge for the delivery/ pick up. If you are not on Siesta Key the delivery and pick up fee depends on the delivery zip code. (see below.) If your zip code is not on the list, please call us to see if we’d be willing to deliver. The fees include both delivery and pickup. Am I able to extend my rental period? If you decide that you want to extend your rental period, please call us and we will be happy to extend your rental period as long as there are no reservations for that item. If I decide that I don’t like what I have rented, am I able to shorten my rental period? You are able to return the equipment whenever you would like to, but we will not refund the time that you did not use. What if my equipment is broken or not working? Call us or bring in the equipment as soon as there is a problem so we can replace it. You are responsible to pay for any damage that you cause. Most of the equipment can be rented by 1hr, 4hr, 1 day, 3 days or 1 week. How is a day defined? A day rental is 24 hours. We have a sunset special. This is when you come to our shop between 3-4pm to rent equipment overnight. The equipment must be returned between 9-10am the next day. The cost is only for the four-hour fee of whatever you are renting overnight. We do regular kayak tours and partner with La Cave de Sylvie for sunset wine tasting kayak tour every first and third Wednesday of the month. We paddle out to a secluded beach and La Cave de Sylvie offers a tasting of some wine and hors d’oeuvres. We watch the sunset and then paddle back to the boat launch in the moonlight. Can I make reservations for equipment? We take reservations for everything except for scooters and scooter cars. What happens if an item is lost or stolen when I am renting it? You will be charged for the item that was lost or stolen. Can someone else use the equipment that I have rented? No, only the people that have entered a contract with us and have signed the waiver are able to use the equipment. You will not be charged for reservations canceled more than one week prior to delivery or pickup. If your reservation is canceled any time after this, you will be charged a cancellation fee of 50% rental fees for the reservation. The only exception is a reservation for kayak and paddleboard rentals and tours. If we feel that the weather and conditions are unsafe, we will cancel your reservation and you will NOT be charged a cancellation fee. What happens if I return the equipment late? You will be charged a late fee.